The defence firm has lost out on a big contract and is on the verge of losing another. Now it looks like the French might muscle in. Just the sort of news a company does not need on the verge of Christmas. In a sort of Reverse Santa, BAE systems has admitted it has lost out on a deal with the UAE to sell 60 of its Typhoon jets to the Gulf states. Still worse the negotiations to flog extra numbers of the same aircraft to Saudi Arabia aren’t going well either. The Saudis are no pushover these days when it comes to the purchase of weaponry and are playing hard ball on price. It is a double whammy for the UK and Europe’s largest defence company which had hoped a win in the UAE would fix its position as one of the biggest suppliers of combat aircraft to the Gulf region. The company has already won deals for Typhoons with Saudi Arabia and Oman, and is negotiating with Bahrain. Swinging the deal with the UAE would have been worth $6bn-10bn, according to analysts’ estimates. Even worse it looks as if this might open the door to …the French. BAE lost out last year to Dassault over a sale to the Indians. In Delhi Dassault’s Rafale took out the Typhoon a heavily contested dog fight. The news is a big embarrassment for the Prime Minister David Cameron who had placed a large amount of personal effort into winning the lucrative deals. With trade exports at the centre of the recovery policy he has made not one but two trips to the Gulf in an effort to coax the Emiratis to sign the deal with BAE. The deal collapse ends a fairly wretched year for BAE. It’s not in an easy position, as MT analysed earlier this year in a long study. It’s another blow for thousands of workers in Lancashire who work on the Typhoon programme, which has over many years encountered frequent delays and setbacks. 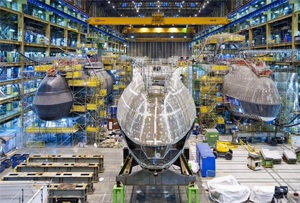 Just a couple of weeks back BAE made the decision to cut 1,800 UK shipbuilding jobs and close its Portsmouth yard. Its shares dived 5% this morning. Better luck in 2014.